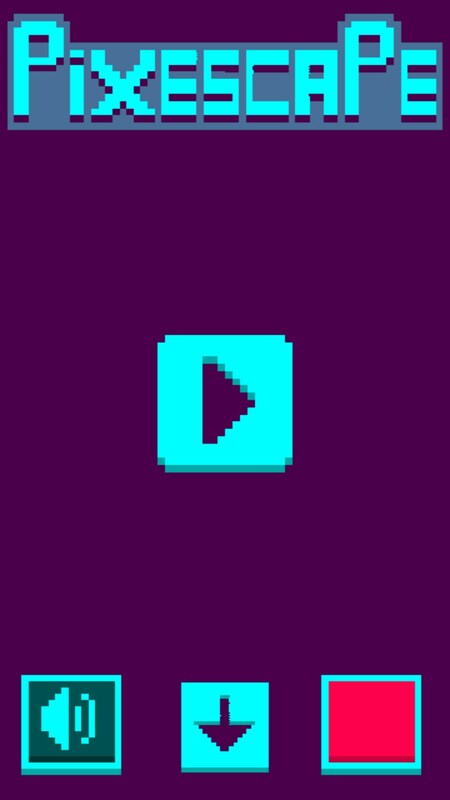 Pixescape – Games for Android 2018 – Free download. 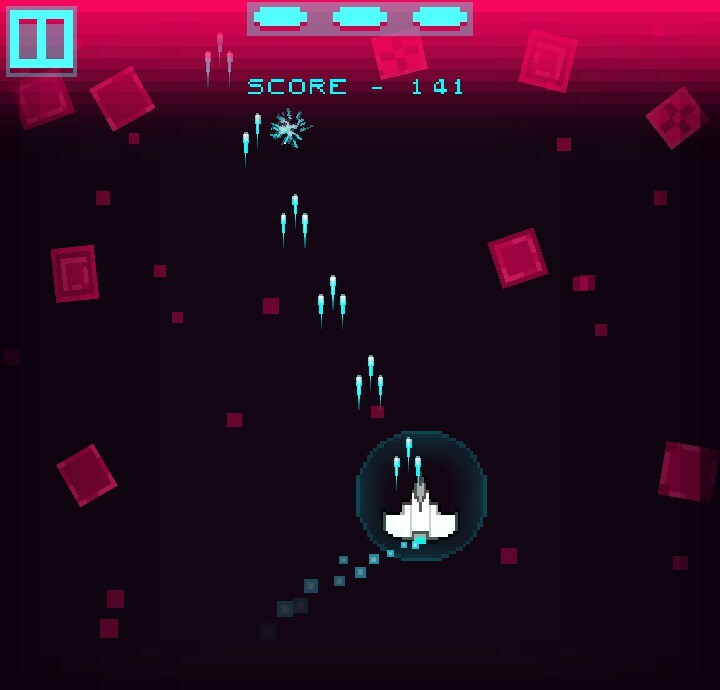 Pixescape – Strange scrolling shooter. 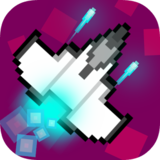 Pixescape for Android is an endlessly scrolling pixellated timewaster, themed on a fighter spacecraft; dodging and blasting boxy asteroids. You've got three bits of health bar (so three chances to crash). You can collecting some powerups that do things like give you a temporary shield, change your weapon for a bit, or renew some of your health. Keep going for as long as you can hold out; but the way you actually score points is by shooting those asteroids. 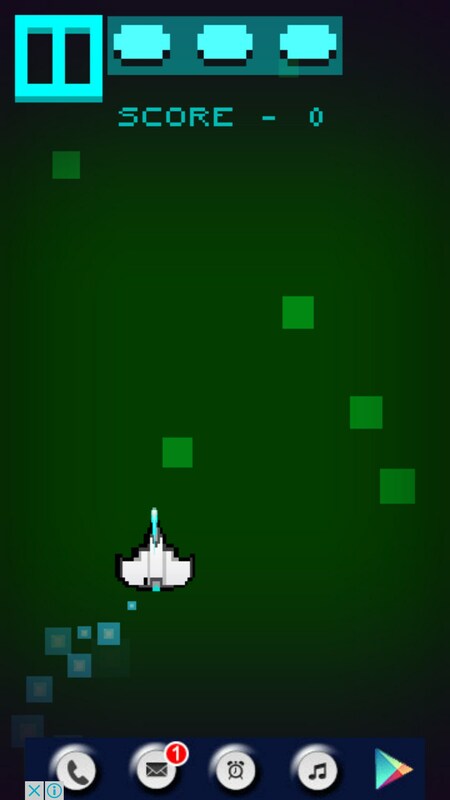 The dubby 8-bit soundtrack is appropriate to the pixellated theme, and the game is clearly angling for retro appeal. But I just didn't find it that fun or intriguing. There just isn't enough variety or story here to make me want to blast more asteroids. And besides, it's dodging past asteroids that takes real Jedi skills; blasting them endlessly seems like more of a tapfest. 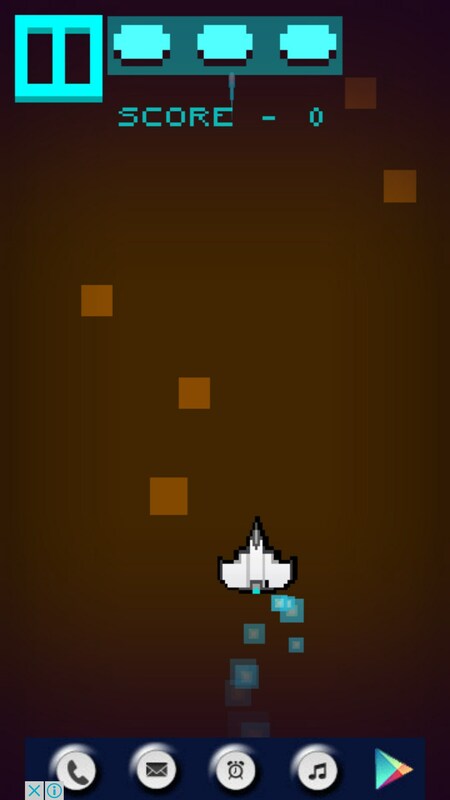 This really is a throwaway pixel dumper. While I'm a fan of the no-nonsense approach, this one doesn't have much in terms of entertainment either. 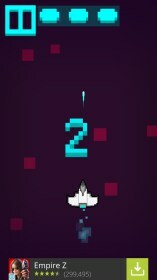 The ads in the free version are quite unobtrusive; and you'll see no reason to buy the ad-free version; as it's only going to entertain you for a few goes at best. 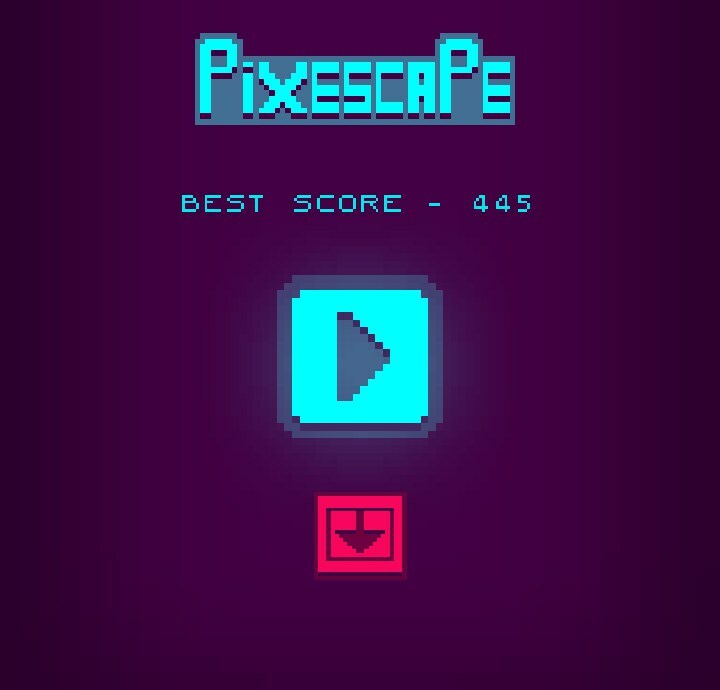 Pixescape for Android is an 8-bit style timekiller game that can be picked up and played at any point in the day. Most sessions of this game only last for a few minutes, so this could potentially be your new go-to timekiller. 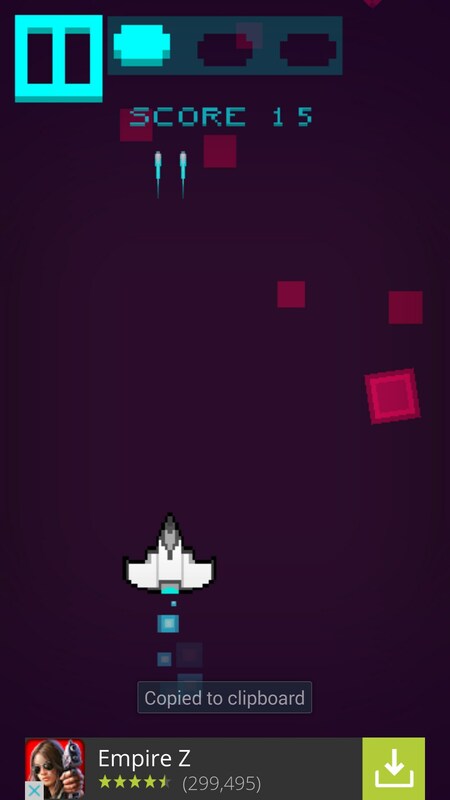 In this game, you will control a spaceship. 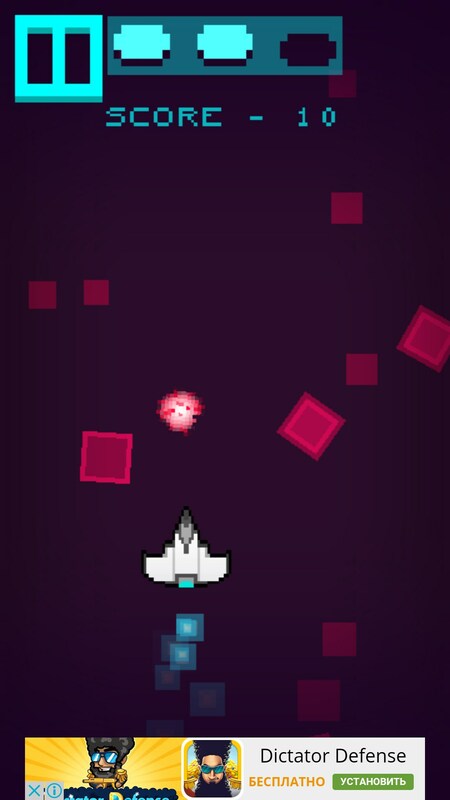 The aim of the game is to destroy as many blocks as you can before they come hurtling towards you. 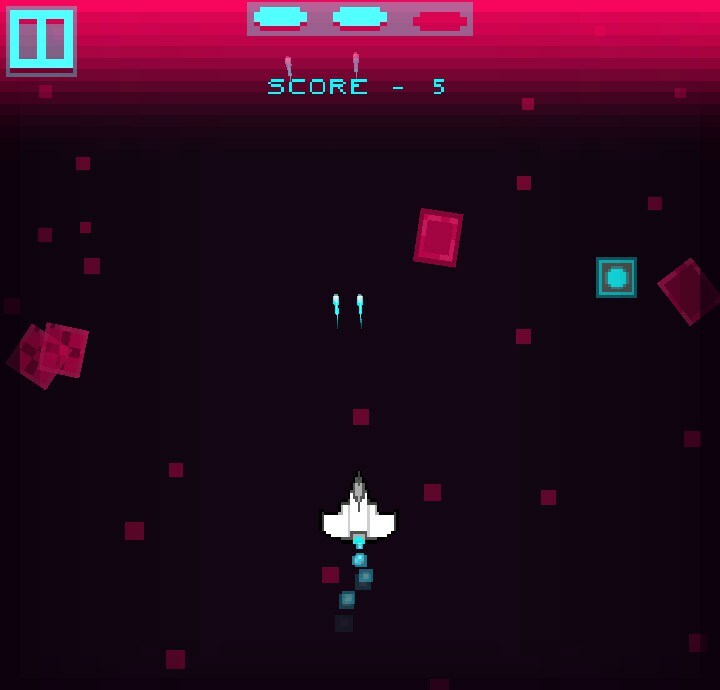 You can move your spaceship left and right to dodge the blocks as well, but you'll only get points if you tap the screen to shoot the blocks down. You are only given three points of health, so once you get hit by three blocks the game will end. 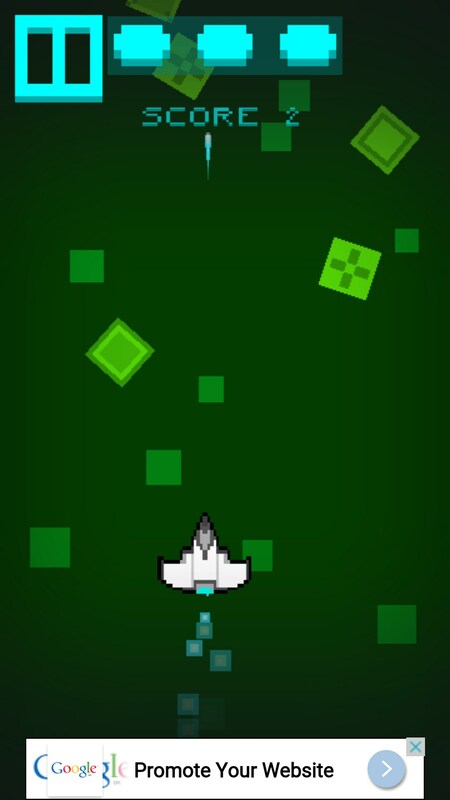 As you play, you can pick up a variety of different power-ups. One power-up will give you a different weapon style for a short period of time. 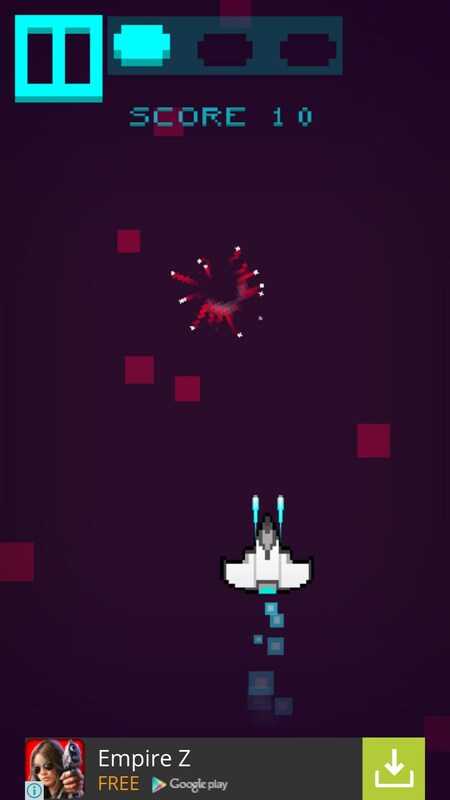 Another power-up will give you an extra point of health, whilst another will give you a shield that will allow you to fly through blocks without taking damage. Besides from these power-ups and the base gameplay, there really isn't much else in this game in terms of content. The graphics style isn't bad, and the cool 8-bit style interface and game effects make the game feel like it belongs in a retro arcade. The same could be said about the gameplay though, as there really isn't that much to it other than what's explained above. Pixescape comes in two different versions. The free version includes ads, whilst the paid version is available for those that don't want to deal with advertisements. There are no differences between the two versions in terms of gameplay content.